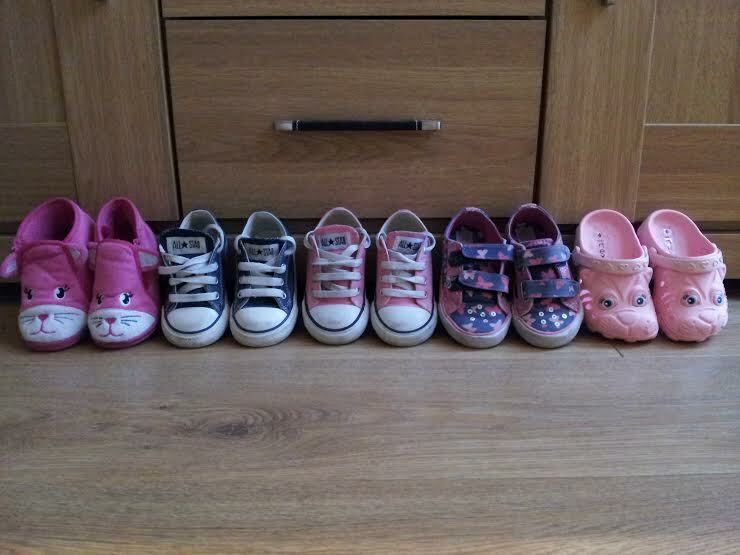 I sometimes feel a little bit sad to think that as she gets older – and particularly into her teens – that she might not be able to wear any of the nice shoes she wants to wear, the shoes that her friends are all wearing. I know some people might read that last sentence and think it sounds superficial, but shoes are something that are completely taken for granted and until you struggle trying to find even one pair to fit your daughter you realise how the little things suddenly become the big things. But then it makes me feel even more determined to try and ensure that in 10 years time she will be able to do and wear everything that other girls her age are. I really hope that by then the wonderful research and trials that are currently ongoing will be able to make a difference to Lucia’s future. Anyway…as you know from previous posts the combination of lymphatic drainage massage, compression, exercise and skincare has improved Lucia’s Lymphoedema so much and her legs and feet are looking fantastic. So I thought let’s go shoe shopping – there is bound to be something else we can get her gorgeous right foot squeezed into now because it is looking and feeling so good. So we went for a girls shopping trip – and I was genuinely surprised to discover that she still can’t fit into 99.9% of shoes. And we tried on LOADS. In all different shapes and styles, but the shoes just weren’t deep enough or wide enough. And there are some seriously pretty little shoes out there for summer. However, we didn’t let it get to us (or rather I tried not to let it get to me) as we have been in this position so many times. A few deep breaths and I was fine. And then Lucia actually found a pair herself! A pair of pale pink ‘croc’ style shoes in the shape of little pussycats from Next. To be honest, they are a little bit of a squeeze on her right foot but as soon as they were on there was no getting them off her as she ran around showing everyone in the shop her new shoes and miaowing like a cat! So they were bought! I know they aren’t very practical but they will be perfect for wearing around the house and for taking on holidays with us. And when we do find a pair of shoes that fit it is impossible to not buy them! A lovely mum who has a daughter with Lymphoedema in her lower limbs and feet also recently got in touch to recommended Lellie Kellys California range to us, so that will be our next stop. Fingers crossed. With all the research lets hope in years to come there will be more and better help.. Not being able to wear the things you want can be very hard… But it is amazing the wonderful things you can find… Those crocs are gorgeous.. Delighted she got crocs, guess where Isla and I are going tomorrow to see if she can get a pair. Not sure if I mentioned before but I got Isla welly boots out of Mothercare I bought 2 pairs with the smaller boot for her left foot and the bigger for her right. In a couple of months I’ll get the next size up. Then use the spare from the current bigger pair for the smaller foot and the new one for her bigger right foot.